First, think about your tires. Are they rated as all-season tires? That means they have a tread designed to give you better traction in the wet and in the snow. If not, a double dose of caution is called for. You might think about investing in winter tires (formerly called dedicated snow tires) if you live in a snowy area. Remember, it is important to see your tire dealer for proper installation of winter tires on your vehicle. Are they properly inflated? The answer may well be “no,” because as the temperature outside drops, the air inside a tire contracts and the pressure drops – one or two pounds for every ten- degree drop. Contrary to common belief, underinflation does not give tires better traction in the snow. It only makes them more vulnerable to damage. Winter or summer, your tire’s worst enemy is underinflation. 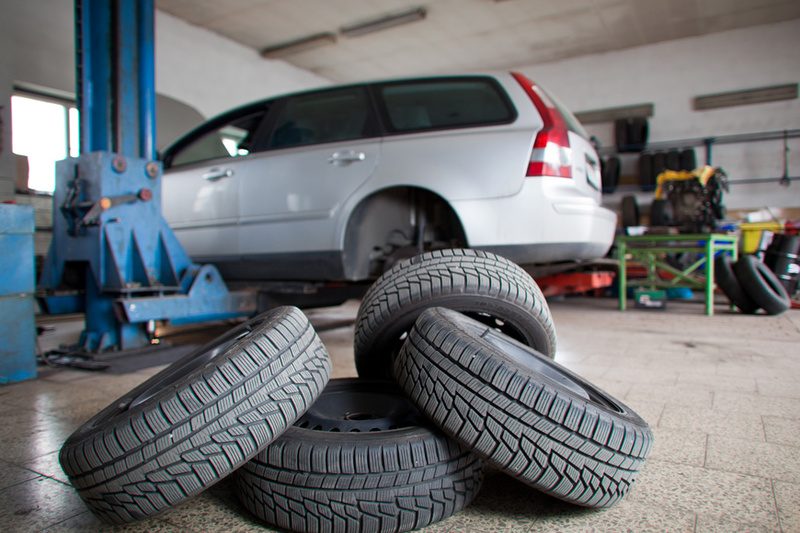 Of course, you should check your tires when the weather turns cold, and bring them up to correct pressure. Second, remember that no matter what kind of vehicle you drive, you still are driving on only four tires, just like everyone else. Four-wheel drive may help you go better in the snow, but it won’t help you stop better, or keep you from skidding. Don’t let your four-by-four make you overconfident! Avoid sudden movements of the car. Accelerate gently. Turn gradually. Easy on the brakes when stopping. Those are ways to let the tread on your tires maintain good traction. Spinning or sliding tire means your vehicle is out of control. If you do go into a skid, and your car has an anti-lock braking system (ABS), apply steady pressure to the brakes and turn in the direction of the skid. Don’t pump the brakes. If you get stuck in the snow, spinning your tires too fast can overheat them to the point where they will explode and cause injury. Rocking your vehicle gently back and forth is the correct way to get out of a problem. If your vehicle has ABS brakes, follow the instructions in the owner’s manual.